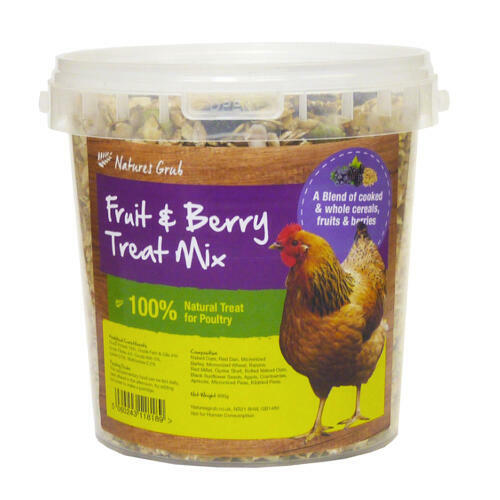 Natures Grub Fruit & Berry Treat Mix is a complementary food for chickens and garden birds. 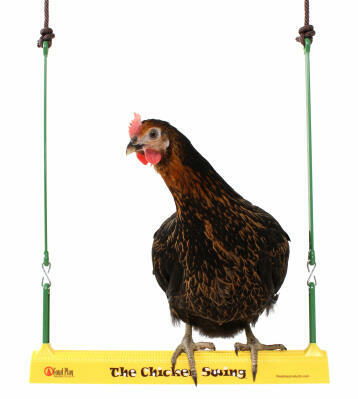 A blend of seeds, cooked cereals, native berries and dried fruit, this is a tasty and nutritious treat for chickens. 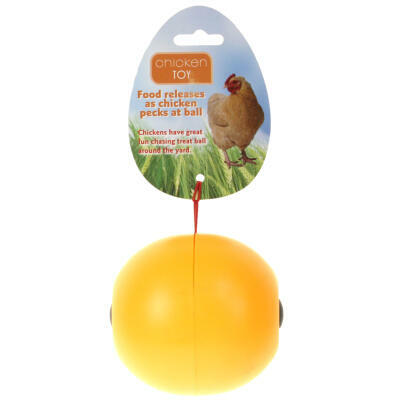 Feed a small amount daily as part of a staple diet or as a treat, for happy hens. 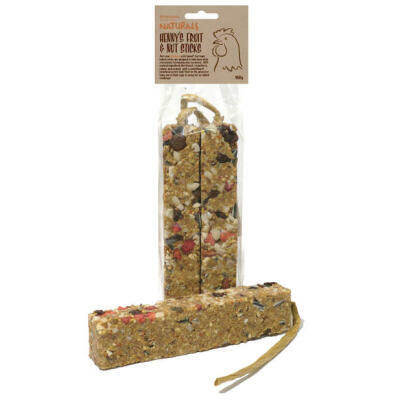 Contains: Naked Oats, Red Dari, Micronized Barley, Micronized Wheat, Raisins, Red Millet, Oyster Shell, Rolled Naked Oats, Black Sunflower Seeds, Apple, Cranberries, Apricots, Micronized Peas, Kibbled Peas. 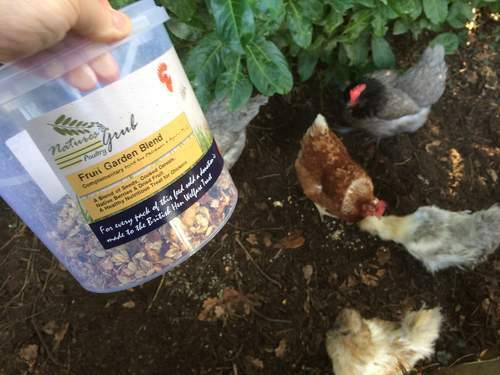 My chickens absolutely love this mix as well as the others by the same brand. Bantams queue up outside our back door to get their treat. 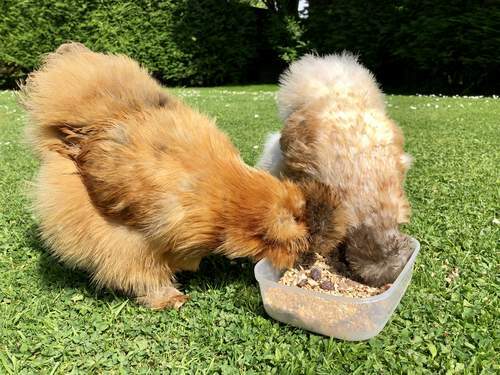 If I delay by a few minutes they come inside the Cottage and our cockerel makes their inpatients clear. 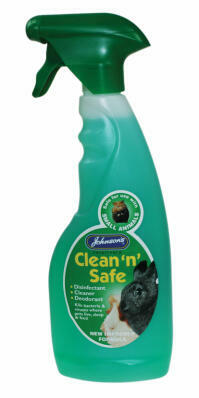 Use treats like this to train the chickens to come when called. 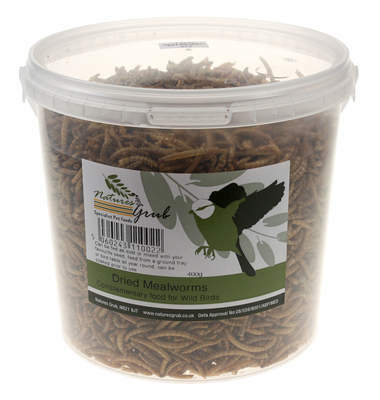 Healthy treats that last ages (1.2 kg tub). 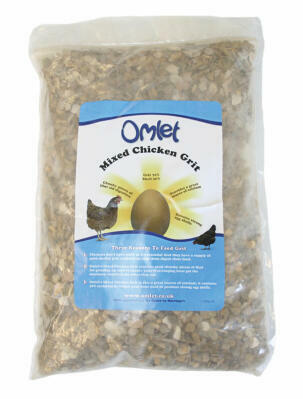 Difficult to find elsewhere and Omlet sells much cheaper than other online stores too. Delivery charge is a pain but applies everywhere - it is what it is. Overall, very pleased. 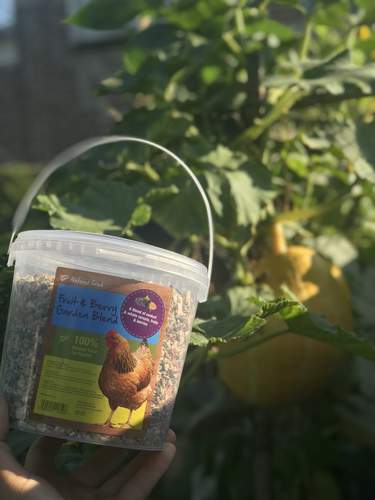 My 10 hens really love this mix, they get very impatient while I struggle opening the tub.The plastic is brittle & the lid has broken in half on my purchases. Even my 2 strong teenage sons struggle!